The table can be decorated with the wedding theme and with your wedding colours. With a biscuit base, vanilla cream cheese and topped with fresh fruit. 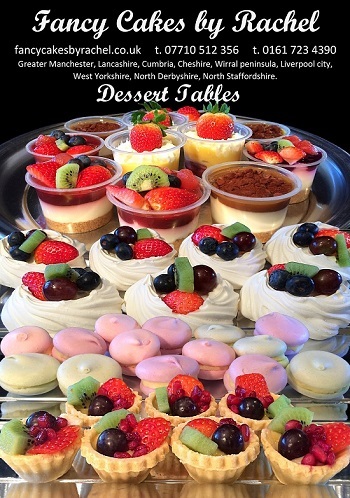 Prices start from £2.00 per head, the price varies depending on which desserts and cakes you would like for your table.